Explore the unique biodiversity of Uganda’s undiscovered mountain ranges with our experienced local guides. Camping gear and food included. Listed price excludes transportation. *Price excludes applicable park fees. 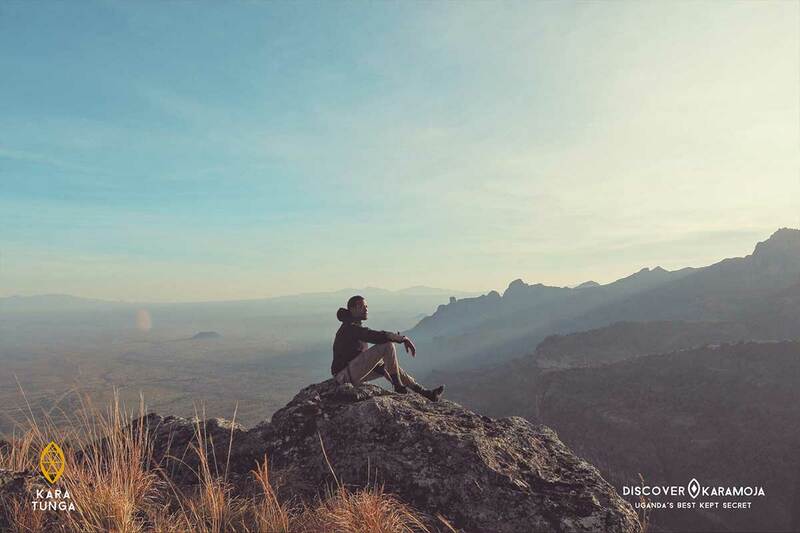 Hiking and trekking Mount Kadam is an exciting alternative to the more strenuous climbs in East Africa with many of the same attractions, a milder climate, lower elevation and requires no special equipment or technical experience. The Mount Kadam Hiking & Trekking expeditions are a mix of rich encounters with the Uganda’s highland people, breathtaking views and unique sights along the trails and unique campsites where you can enjoy the sunset, the stars and sunrise over the planes of Karamoja. 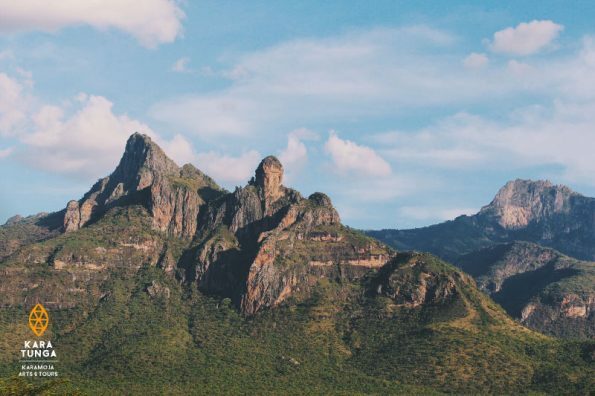 Mount Kadam is the second highest and volcanic mountain of the Karamoja region with the highest peak at 3,063 metres. The night before the hike we sleep in a basic hotel at the foothills of Mount Kadam. 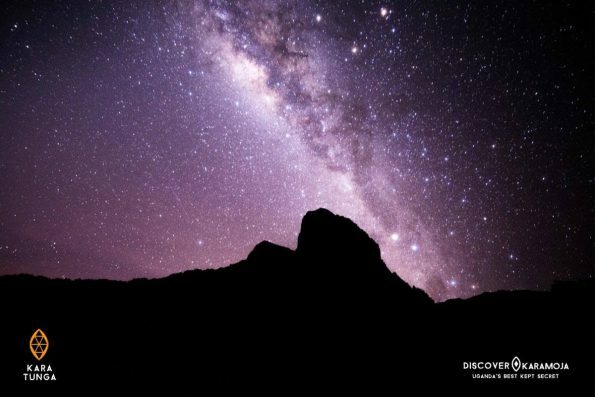 The hike is guided by experienced local guides and porters are available on request ($15 per porter). Food, snacks, camping gear and water is included. 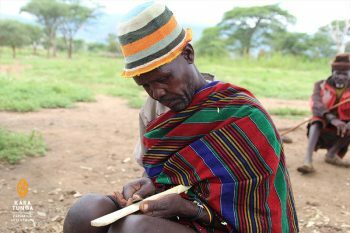 Due the geographical location, the Mount Kadam is home to many surrounding tribes: Pokot, Karamojong, Gishu, Tepeth, Sebei and the Kadama. The inhabitants are majorly agriculturalist and live in small settlements. The camp will be set with front row seats of the sunset and sunrise. The afternoon will be spent exploring a high altitude rain forest and different view points. 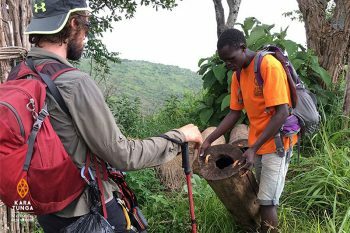 (Read original review on Facebook) This March me and my friends made a hiking tour with the Karatunga – team. Because it was definitely the best experience of my wonderful stay in Uganda, I really want to recommend the Karatunga Tours. We were climbing Mount Kadam and were camping on top of the mountain. Watching the sun go down, sleeping under the stars, watching the amazing sunset the next morning and all this in the beautiful nature of Karamoja was just stunning. The tour was well organised and we really became friends with the Karatunga – team as they were so friendly, funny and always encouraged and helped us to go on when the path became more difficult. Additionaly I learned much from the team about the impressing and interesting culture of Karamoja. So if you have the chance to come to the beautiful country Uganda, you should definetely make a Karatunga Tour! It will be totally worth it and you’ll remember this adventure forever! (Read original review on Facebook) When my family came to visit me in Uganda, I wanted them to experience the pearl of Africa in its purest form – no typical touristic stuff, where you feel like sitting in a cinema, watching the life happening from a secure distance. A friend of mine recommended Kara-tunga to me and I was straight-away taken by its philosophy. Looking back to our two weeks traveling in Uganda, the two-day trip with Kara-tunga was by far, for all of us, the most impressive and beautiful experience; it definitely exceeded all expectations. The scenery and landscape of the hike was just breath-taking. On the way up, we trudged through maize fields, crossed streams and weaved through thick forest, catching a glimpse of the tribe living in the hills and even got the chance to observe the spectacular black white colobus monkey. Arriving at the top, we were rewarded with a view that left us speechless. Together with the Kara-tunga crew we shared beautiful moments, watching the magical sunset, preparing dinner while having lots of laughs, looking stupid while imitating their traditional dance, telling each other riddles around the campfire, when the quiet and mysterious touch of the evening settled in.